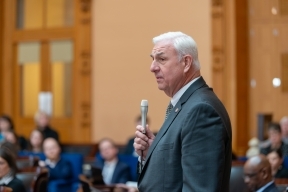 COLUMBUS-Yesterday, State Senator Lou Terhar (R-Cincinnati) was re-appointed by Senate President Larry Obhof (R-Medina) to serve on the Governor's Advisory Board of Faith-Based and Community Initiatives. 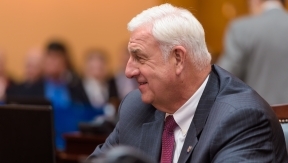 COLUMBUS-State Senator Lou Terhar (R-Cincinnati) last week called together the Senate Ways and Means Committee for their first hearing of the 133rd General Assembly. Terhar was appointed Chairman of the committee by Senate President Larry Obhof (R-Medina) earlier this year. COLUMBUS-State Senator Lou Terhar (R-Green Township), joined joint-sponsor Peggy Lehner (R-Kettering), in applauding the Governor's signing of legislation prohibiting female genital mutilation (FGM). The bill was signed into law on January 4, 2019. COLUMBUS-State Senator Lou Terhar (R-Green Township) this week announced the House passage of his legislation to provide financial relief to active duty military and veterans who apply for a concealed handgun license. 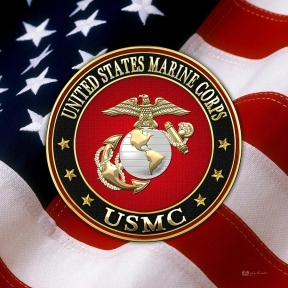 "Many of the young Marines in Lima Company are from Hamilton and Franklin counties," said Senator Terhar. "This memorial highway is one small way to honor not only Lance Corporal Dyer, but all those from that unit who made the ultimate sacrifice." "I am deeply honored to be recognized by the Ohio Association of Area Agencies on Aging/Council on Aging with this award,” said Terhar. 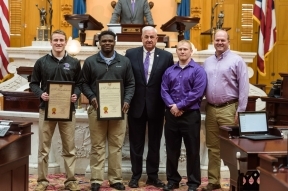 COLUMBUS—State Senator Lou Terhar (R-Cincinnati) has introduced a resolution in the Ohio Senate that would recognize and encourage efforts to further strengthen Ohio's economic relationship with its sister-state, Taiwan.